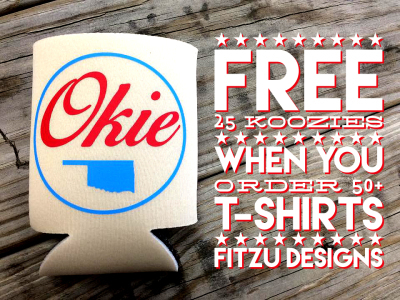 Free 25 koozies when you order at least 50 t-shirts! 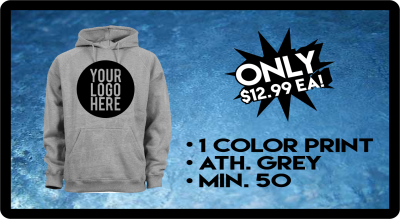 Hoodies onle $12.99 ea. when you order 50! Free setup! 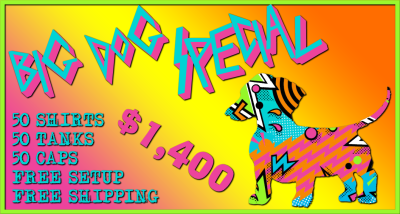 50 t-shirts * 50 tanks * 50 caps Only $1,400!